"I was once where you are now"
I knew something was wrong, something was out of balance, but I didn't know how to address it, or where to start. Doctors gave my blanket diagnoses, told me my symptoms were just part of being female, and threw at me one birth control pill after another. Nothing worked, nothing improved. I was made to feel bothersome because I wasn't really "sick", and a nuisance for seeking help. ​I think you all know by now where this is going... I found a Naturopathic Doctor. Naturopathic Medicine may not have necessarily saved my life, but it certainly changed it. ​It gave me options, it gave me answers, and after a lot of hard work, it gave me results. Through knowledge and guidance from my ND, I began to consume the foods that supported me, to eliminate the lifestyle habits that worked against me, and to learn how to listen to my body instead of resist it. I discovered how to correct the issues that were troubling me instead of suppress them. Finally, I felt like ​me again. ​This drove my career choice to become an ND and to help others do the same. I’ve since made it my purpose as a practitioner to help others overcome their struggles, not only to make life more tolerable, ​but enjoyable. feeling like themselves again, too. 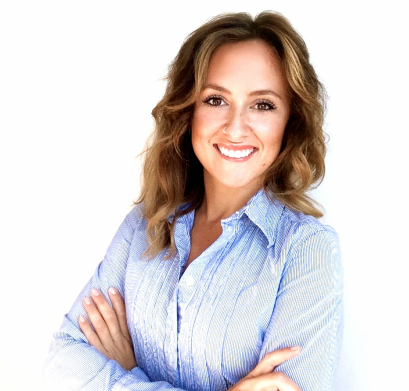 Dr. Courtney Holmberg is a board-certified Naturopathic Doctor, Speaker, Entrepreneur, Writer, and Yoga Enthusiast practicing in downtown Toronto, ON. She graduated from the Canadian College of Naturopathic Medicine, where she gained her four year post-graduate Doctor of Naturopathy Degree (ND), completed a 12-month clinical internship at the Robert Schad Naturopathic Clinic, and the Brampton Naturopathic Teaching Clinic, and is in good standing with College of Naturopaths of Ontario. She also has had the pleasure of providing care to patients at the Sherbourne Health Center. She currently maintains a private practice on Queen West at Platinum Health and Wellness, servicing the beautiful Trinity Bellwoods and surrounding communities. Through further training and personal interest, Dr. Holmberg ND has taken a clinical interest in hormones, digestion, and autoimmunity. Born and raised in Sudbury, ON, she has always had a passion for medicine and healthy living. She was first introduced to Holistic Medicine during her undergraduate studies at Laurentian University, where she completed an Honours Bachelor of Science in Kinesiology (HBSc Kin). During her studies, she was fortunate to gain a full term internship alongside Naturopaths, Massage therapists, Chiropractors, and Physiotherapists at Health Coach, an integrative naturopathic practice, and Allied Health care, a physiotherapy clinic. With a background in physical medicine and health promotion, combined with a holistic approach, Dr. Holmberg, ND aims to incorporate natural therapies into individualized treatment plans that connect all aspects of mental, emotional and physical health, with the intent to uncover the root cause to all health concerns. She firmly believes that through commitment, movement, and proper nourishment, we can all achieve the best versions of ourselves. Her intention is to ensure her patients concerns are heard, and work in conjunction with their current treatments and medications to receive the most supportive care possible.